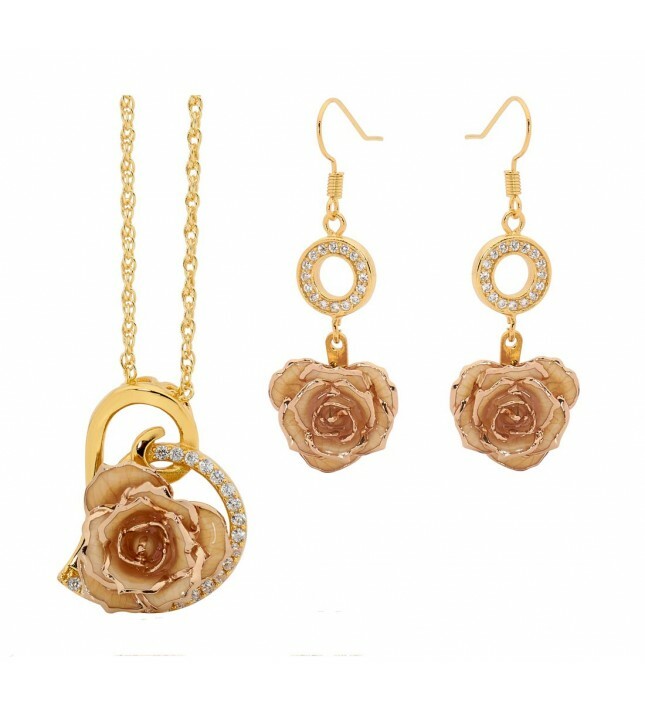 The ultimate romantic set, including a real white glazed rose together with drop earrings and matching heart-shaped pendant fashioned from real rose petals, all trimmed with 24K gold. 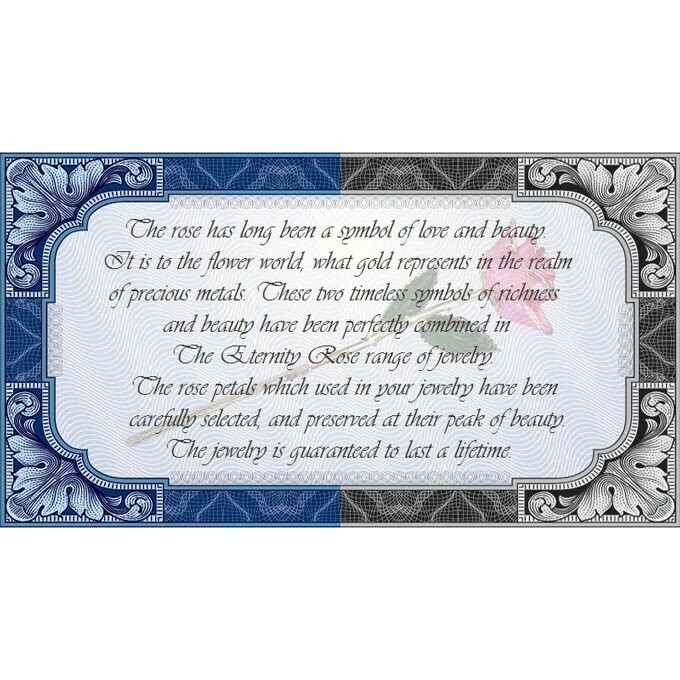 Radiant synthetic diamonds encrust each piece of jewelry. 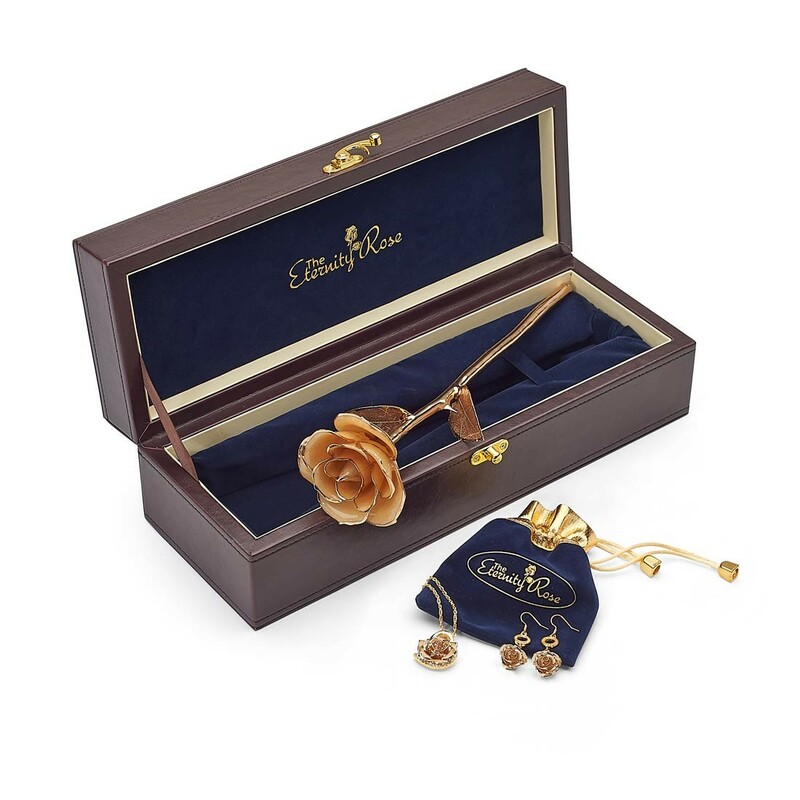 A PU leather presentation case comes with this set to display the rose, while the jewelry comes in a velvet pouch within. 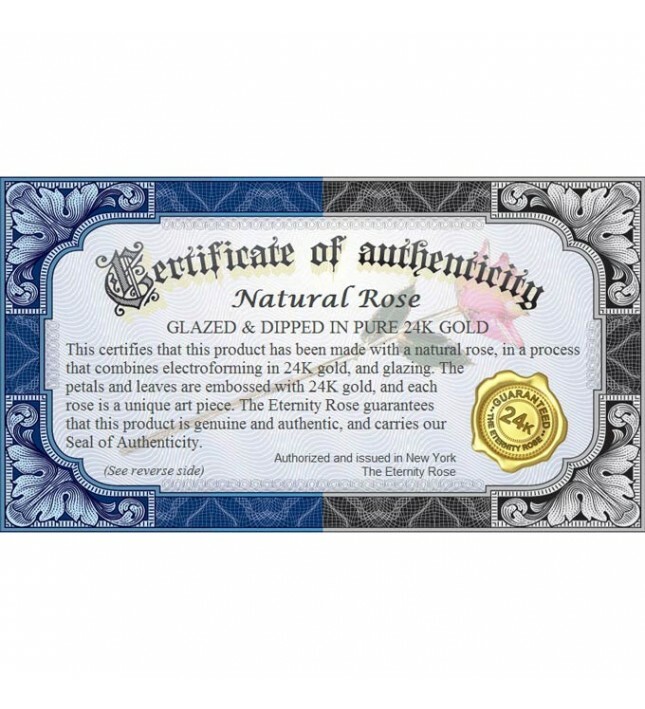 An authenticity certificate is supplied for the jewelry items and the rose. 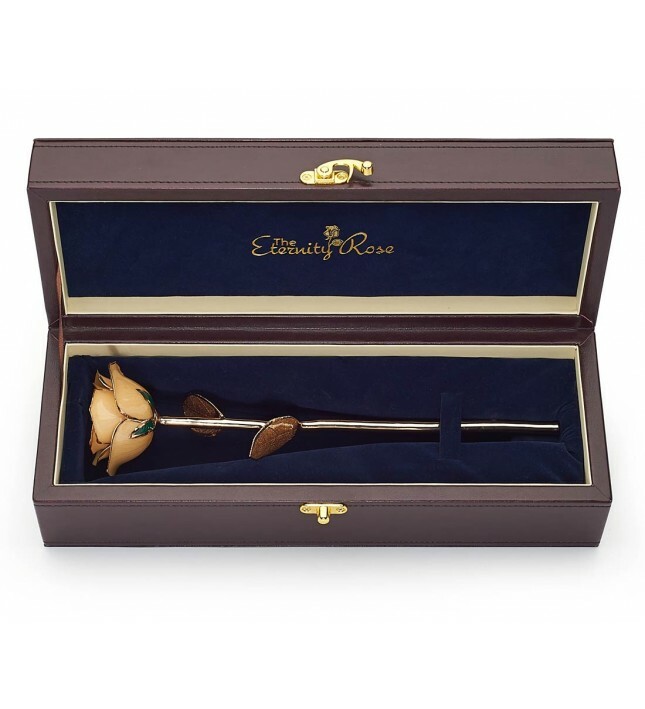 A lifetime guarantee protects the fine detailing of this set. 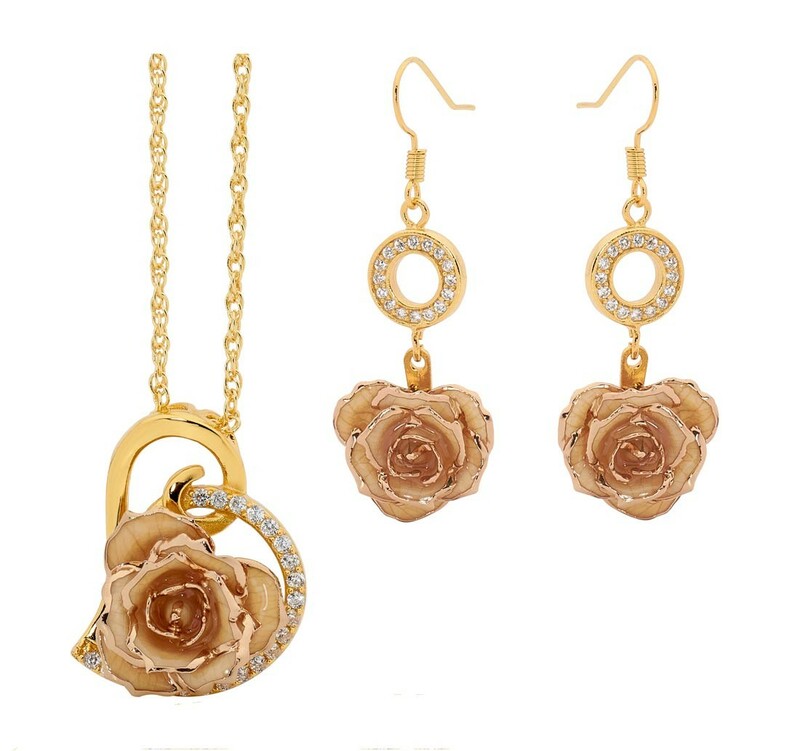 A stunning matching set created in a romantic white and gold heart design. 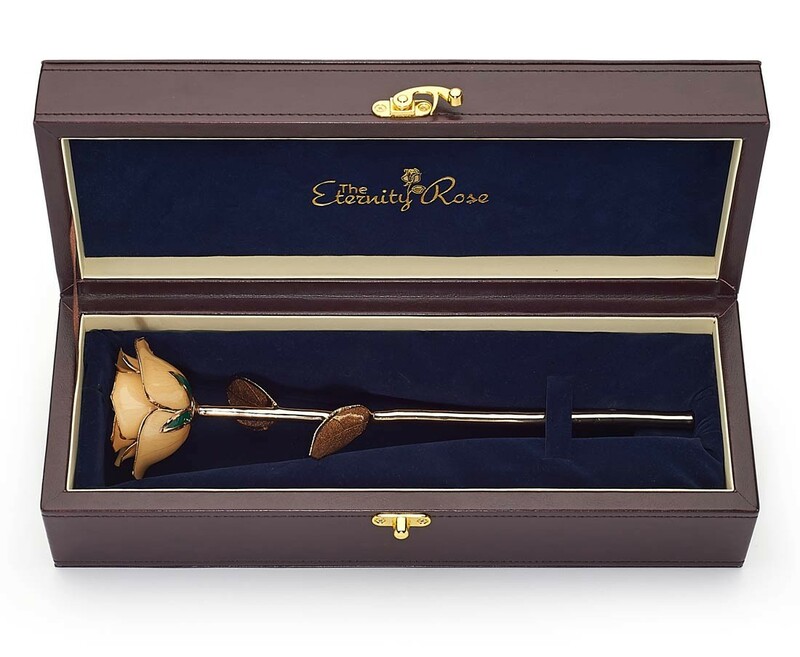 A WHITE REAL ROSE, glazed then trimmed with 24K gold. 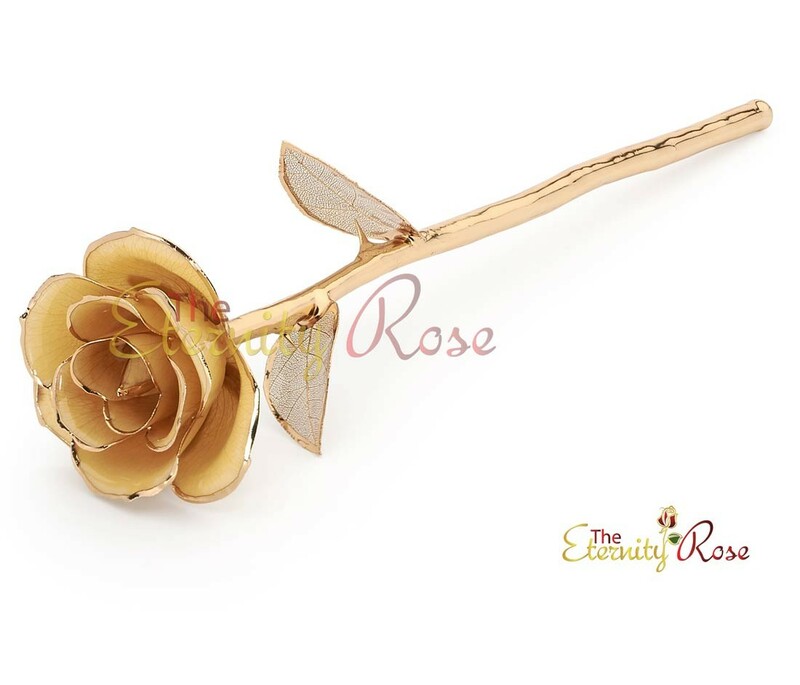 The rose's lattice leaves are dipped in 24K gold and then glazed. 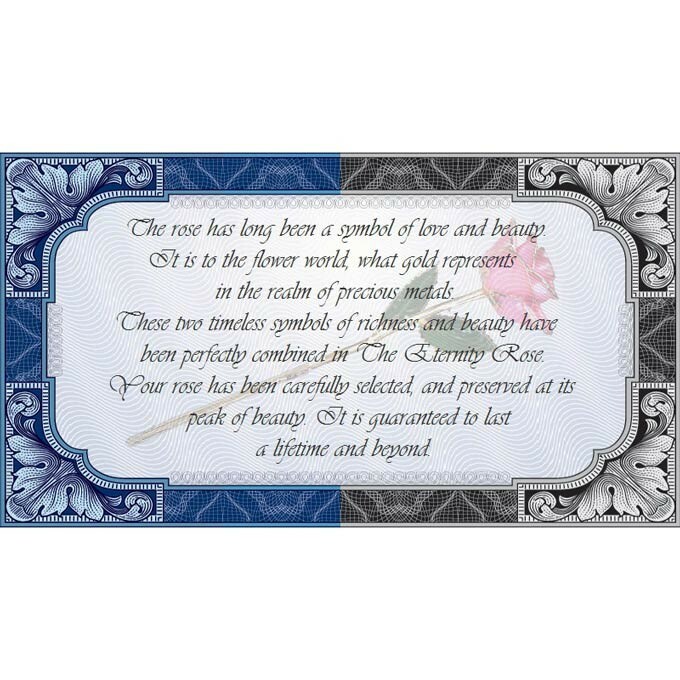 The length of the rose measures approx. 12”. 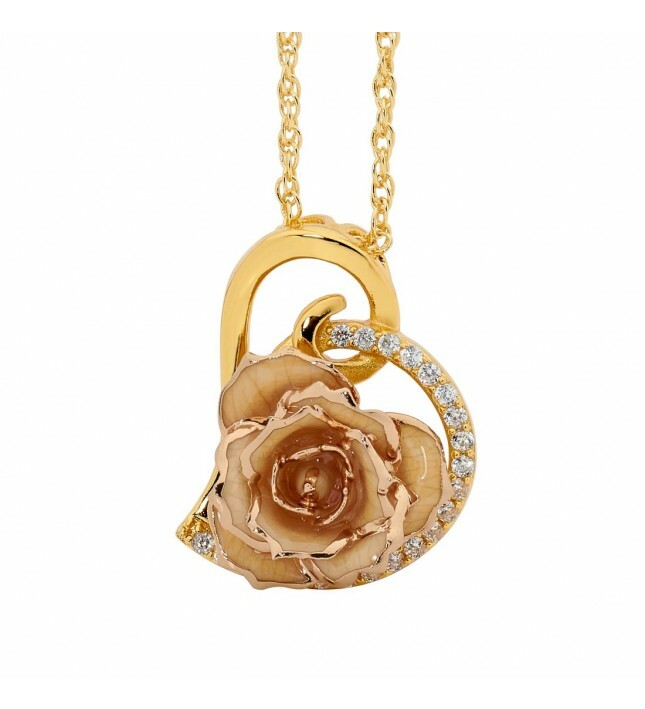 AN ELEGANT PENDANT that is formed from white miniature real rose petals which have been glazed and then trimmed with 24K gold. 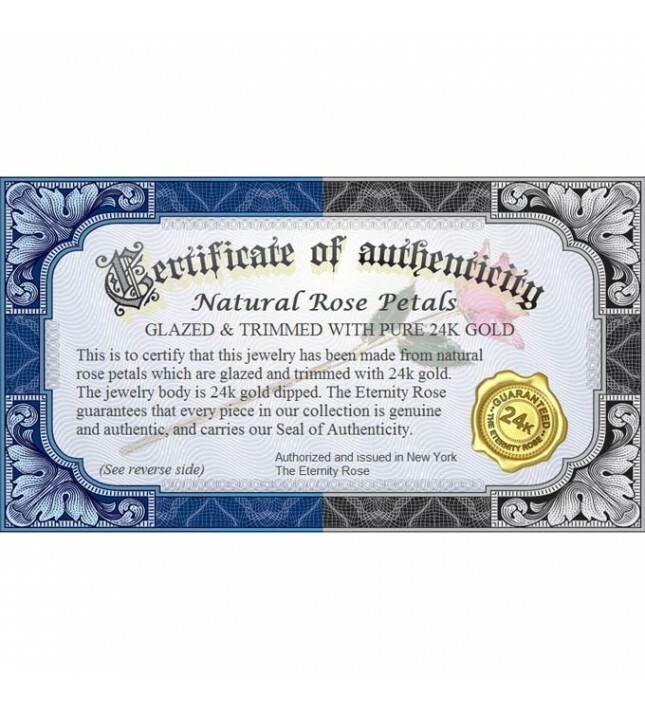 An elegant gold-dipped multi-link chain is also included. 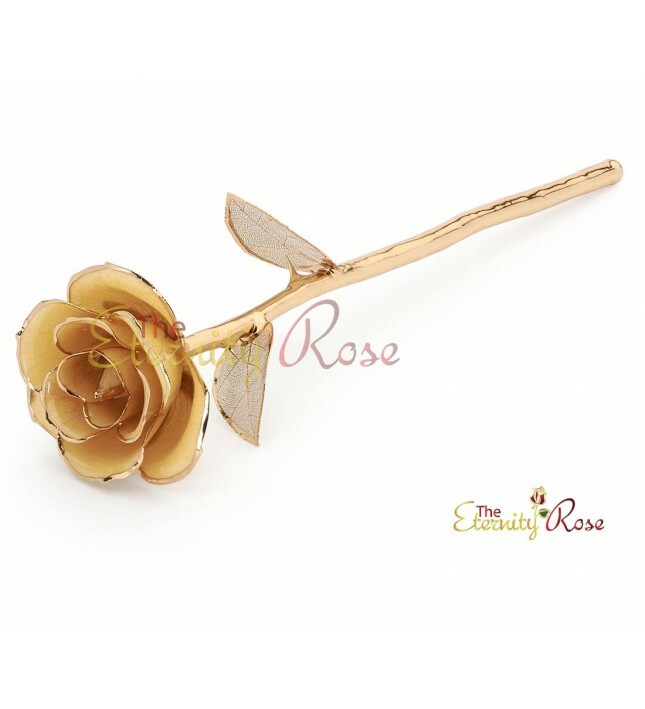 The pendant's rose head measures approx. 3/4” across. 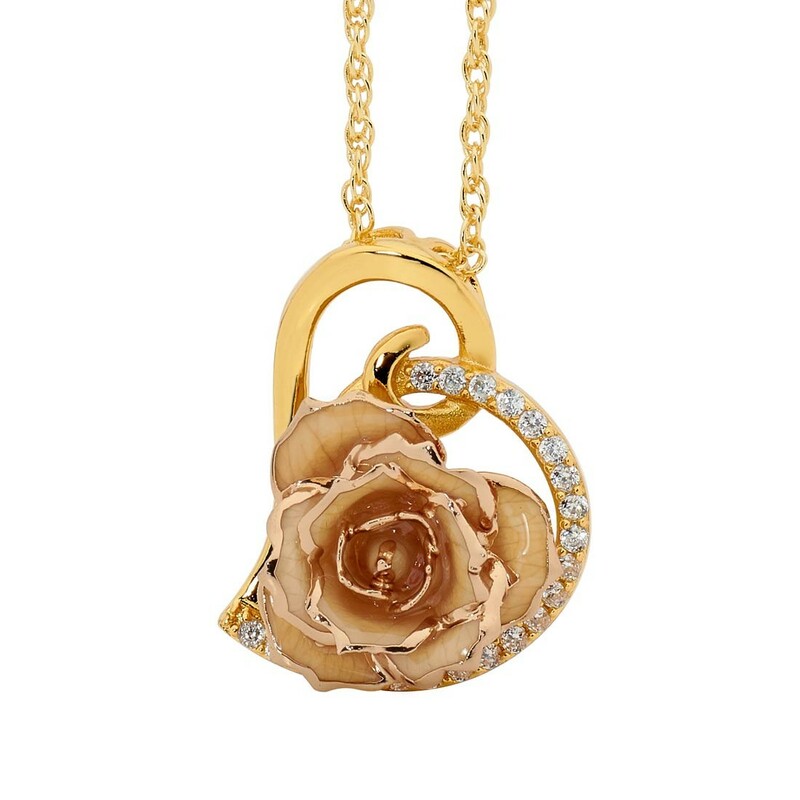 The pendant features a heart design which is studded with 21 radiant synthetic diamonds. 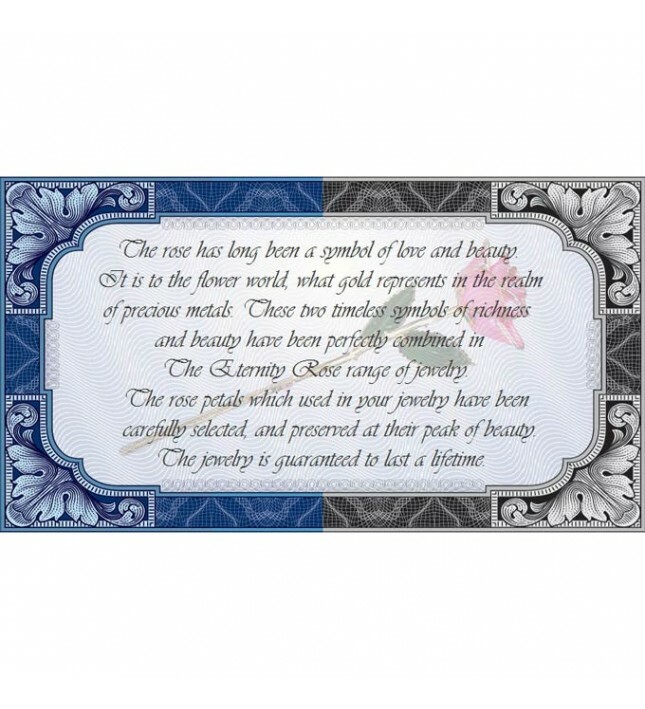 The overall dimensions of the pendant are 1.2” X 0.9”. A SET OF MATCHING DROP EARRINGS, made by hand from real rose petals, glazed then trimmed with 24K gold. 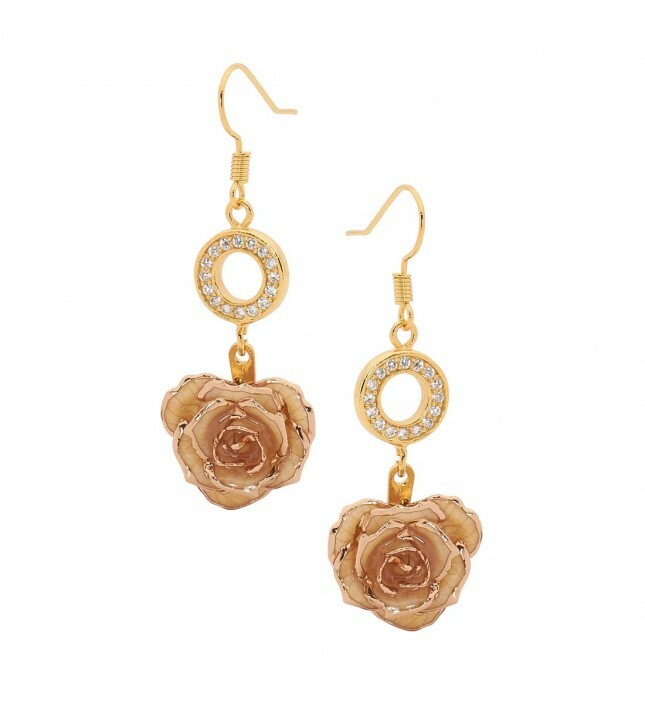 The rose heads measure approximately 5.8” across while the length of the earrings is around 1.7”. 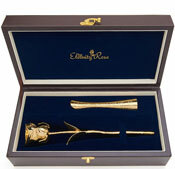 A gold ringlet is featured on the earrings, encrusted with 16 luxurious synthetic diamonds. 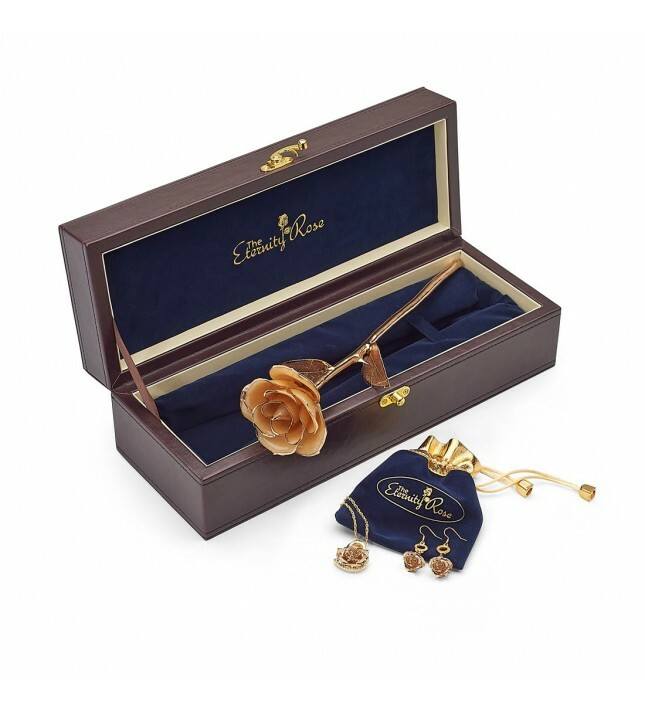 This lovely set is protected by a prestigious velvet-lined PU leather case measuring 13.3” by 4.8” by 4”. The jewelry comes inside a navy-blue jewelry pouch presented inside the presentation case. 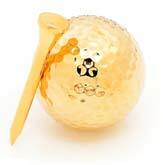 Each piece represents the ultimate in handcrafting skill and exquisite detailing. 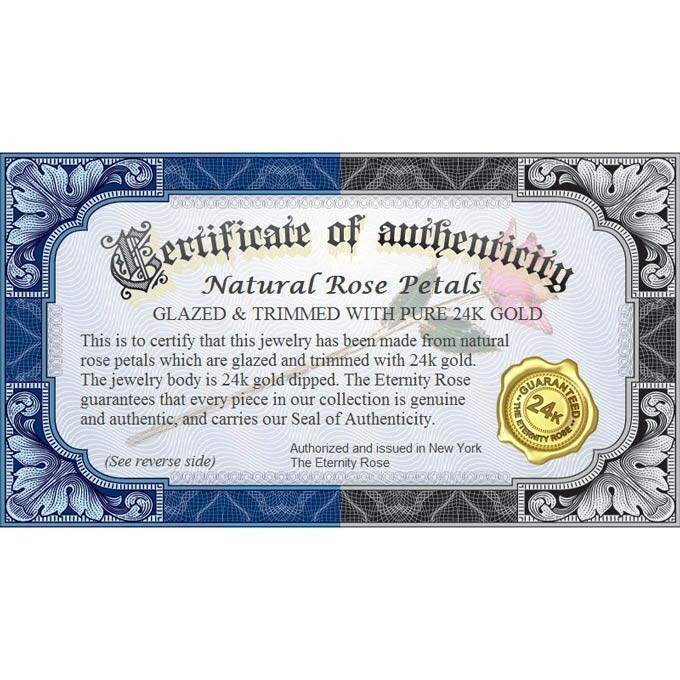 The process to coat the real rose petals with their glaze and then apply the 24K gold trim consumes three months from start to finish, and involves 60 steps. 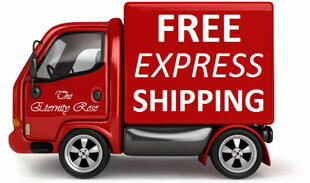 Each item can be considered to be a one-of-a-kind artwork. 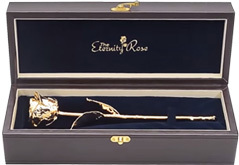 Each set comes with a lifetime warranty, like all items in The Eternity Rose's collection. 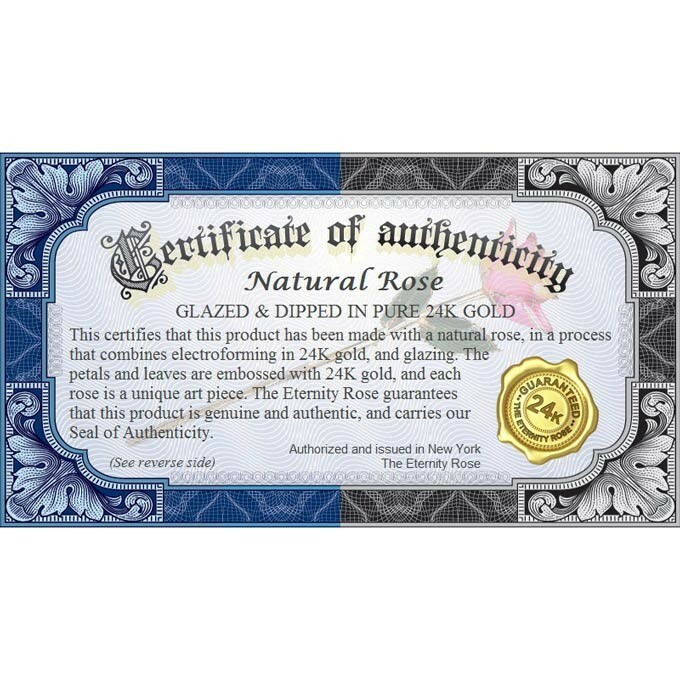 Created to the highest standards in Europe, our rose and jewelry items undergo rigorous quality control scrutiny and have won awards for their design quality. 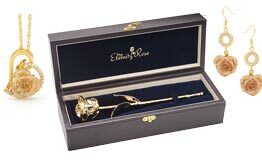 We spare no expense in refining the quality of our range, and this set makes an ideal present for anyone with an appreciation of a rose's elegance and the luxurious nature of fine jewelry. 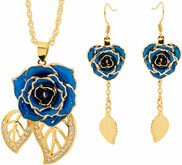 We also have available a Gold-Dipped Rose and Jewelry Set.